← 50 years after Apollo, will China spark space race? 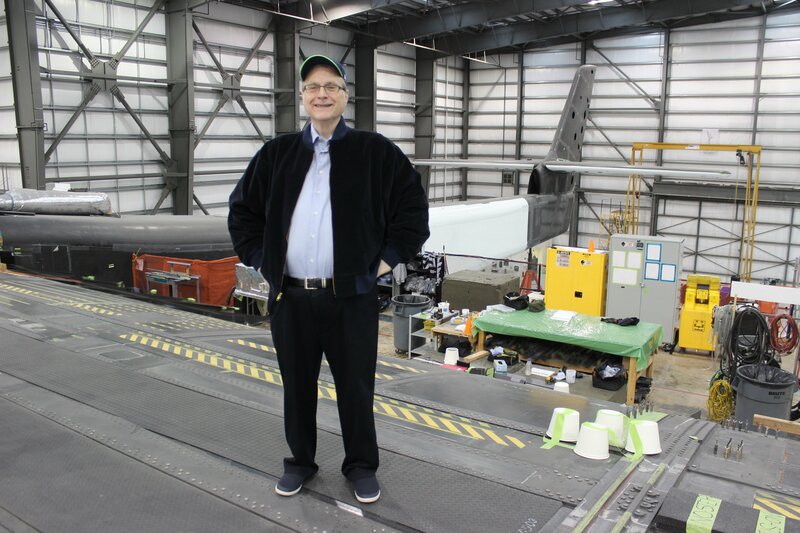 Seattle billionaire philanthropist Paul Allen’s death comes just as his Stratolaunch space venture is counting down to the first flight of the world’s biggest airplane — and lifting the veil on a wide range of space applications. Now it’s up to the Stratolaunch team to make good on the high-flyingest idea from the self-described “Idea Man,” who succumbed to non-Hodgkin’s lymphoma at the age of 65.